Abstract - Information Security in Automated Systems is considered to be one of the most interesting topics that attract researchers and those dealing with such systems. It is well known that the popularity and persistent existence of computers in information systems management played a great role in developing and raising the efficiency of these systems, however, their dependability, reliability, and their ability to protect confidential information against intrusion together with their ability in managing these systems persistently and accurately remains under consideration. 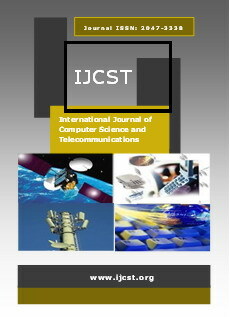 The major objective of this paper is to review the threats and attacks faced by information environment, and to propose scientific mechanisms and means that can help raising security efficiency and providing information protection that commensurate with the information technologies in the current times. Abstract - E-Learning can be defined as the use of available information and communication technologies to facilitate learning process. E-Learning is the combination of learning and the Internet technology. In the modern world, education has become more global, and people are looking for learning with ease and interest. Through this paper, we will understand and discuss how e-learning systems can provide quality education and also discuss security threats and remedies in the E-learning system. We will all focus on harmful E-Threats, E-Risks, how e-threats leads are dangerous to assets and will also discuss various e-remedies to avoid all the E-Threats. We will also understand six categories of information security threats to our E-learning system by STRIDE model. Abstract - This study presents Automated Teller Machine (ATM) usage optimization framework for rural area, aim at create a better quality of service for banking customers using ATM services. Data were obtained from Nigeria banks and Questionnaire was used to obtained relevance information from customers for a period of two years from June 2014 to July 2016. Two different locations were considered in this study, urban (Benin City) and rural area (Ekpoma). Optimization framework was developed using queuing theory technique. In addition, security tips that will improve the quality of service and ATM queuing characteristics were highlighted in this study. The average numbers of customer per each hour and days of the week were determined for both urban area (Benin City) and rural area Ekpoma. It was observed, that the queue key characteristics for rural area values overweight the values obtained from the urban area such as the average or expected number of customers in the system (Ls), the average or expected number of customers in the queue or the average length of the queue (Lq), the average waiting time of a customer in the system (Ws), the average waiting time of a customer in the queue (Wq), the probability that system is idle (P0), the Probability that a customer must wait before he/her gets service and utilization rate. The values between the urban area and rural area are in variant, which means that low quality of service was witnessed at the rural area base on the result obtained. It was observed that single server (ATM) values obtained are higher than the values from multiple servers (ATMs) from the corresponding locations, which imply that good quality of service was associated with multiple servers. In addition; the security level should be improved on by introduction of facial and finger print as security password to boost the customers’ confidence. Abstract - Data mining in large sensor networks just starts to attract interest. Finding patterns in such an environment is both compelling and challenging. We also outline our preliminary proposal of solutions to these problems. There has recently been a considerable amount of research work done on using data compression techniques to minimize the volume of the transmitted traffic, and the consequently assist in reducing power consumption levels in Wireless Sensor Networks. A Wireless Sensor Network is the network of small sensor nodes, which are energy constraint devices and have limited data computational and transmission control. The nodes are organized in the form of cluster around a Base Station. In this paper we have define how to improve the energy efficiency of the network by using data mining technique by discovery, usage, and understanding of patterns and knowledge, mining moving object data, mining text, Web, and other unstructured data. Abstract - Loading a document, an image, a voice recording, or a video on the Internet can cause jamming signals and overload on the network traffic and performance. These happen as a result of the speedy growth of the browsing web site pages. Web caching policies are popular techniques that have played a key role in improving performance by increasing the hit ratio. There are more web cache policies that are used to solve the problems and increase the performance of the internet like web cache replacement techniques. This paper highlights some of the policies and compares them, using the hit ratio, performance matrix, latency time and byte hit ratio.